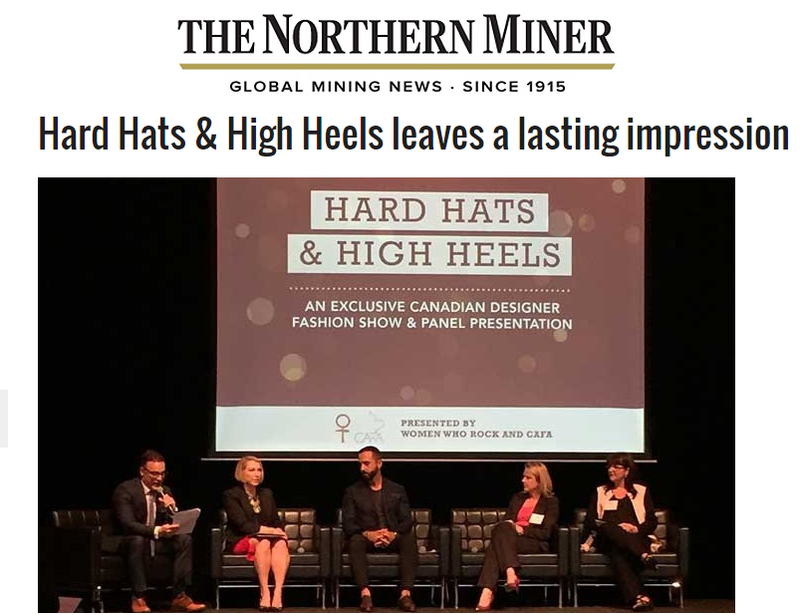 “The idea for Hard Hats & High Heels arose when Mayer met CAFA’s founding director Brittney Kuczynski at the Prospectors & Developers Association of Canada (PDAC) conference in March. The women, both working in mining, with Mayer as a senior client relationship manager for PwC Canada’s mining group, and Kuczynski, on Paradigm Capital’s institutional equity sales team, combined their passions for mining and fashion to create a dynamic platform that allowed women in mining to learn about opportunities in Canadian fashion and Canadian designers to promote their work. For the full article, please visit The Northern Miner.